Whistleblower Recovery Lawsuits are the most effective method for identifying and preventing large scale fraud against the government, in financial markets, and in large corporations. New whistleblower recovery laws have harnessed the power of economic incentives by offering large monetary rewards to whistleblowers that properly report significant fraud. These whistleblower recovery laws have also increased whistleblower protections to prevent and punish retaliation against whistleblowers. If you are a person with special knowledge of significant fraud, feel free to contact Whistleblower Reward Lawyer Jason Coomer via e-mail message or use our submission form to have a whistleblower recovery Lawyer contact you. Under Federal law, whistleblower recoveries can come through four different whistleblower recovery laws. The Federal False Claims Act is the oldest of the laws and under this law the Federal Government has brought in approximately $30 Billion. Under this law successful whistleblowers have been awarded over $3 Billion. The Federal False Claims Act was recently amended by the Federal Enforcement and Recovery Act (FERA) including expanding the reach of the Federal False Claims Act to include subcontractors working under a government contractor and other parties working with government contractors. The Federal False Claims Act was included expanded protection for employee whistleblowers. Two relatively new whistleblower recovery laws are section 21F of the Securities Exchange Act (SEC Whistleblower Bounty Actions), and section 23 of the Commodity Exchange Act (CFTC Whisteblower Bounty Actions). These laws were passed in the wake of Financial Market Melt Down in 2008 and in response to massive fraud in the financial markets. These whistleblower recovery laws are designed to encourage people with specialized knowledge of significant investment fraud, securities fraud, SEC violations, commodity futures fraud, and other financial fraud. These whistleblower recovery laws were designed to protect whistleblowers that step up and blow the whistle on financial fraud. All of these whistleblower recovery laws have been recently passed or strengthened to provide additional protections and economic incentives to whistleblowers. By contacting a whistleblower recovery lawyer, a whistleblower can greatly increase their ability to make a recovery under these whistleblower recovery laws and use whistleblower protections to prevent or punish retaliation for reporting fraud. Government spending in the United States has surged past Five Trillion Dollars ($5,000,000,000,000) each year and is expected to continue to increase in the future. As this number continues to increase, the number of fraudulent contractors, sub contractors, defense contractors, corporations, and health care providers will continue to increase, unless new methods are used to identify and prevent fraud . From a taxpayer stand point, preventing government fraud can save hundreds of billions of dollars. Offering Economic Incentives including offering rewards and bounties have been an extremely effective method of identifying unlawful conduct, crime, and criminals. When the government offers the economic reward to private citizen for exposing fraud against the government, such actions are called "qui tam actions". In these actions, the plaintiff is suing on their own behalf as well for the government and taxpayers. The qui tam provisions of the False Claims Act are based on the theory that one of the least expensive and most effective means of preventing frauds on taxpayers and the government is to make the perpetrators of government fraud liable to actions by private persons acting under the strong stimulus of personal ill will or the hope of gain. Similarly, new bounty actions work under the same premise. By encouraging private citizens with specialized knowledge of financial fraud, the government is seeking to deter investment fraud, securities fraud, SEC violations, retirement fund fraud, corporate malfeasance, and other forms of financial fraud by offering rewards or bounties to persons that properly expose this fraud. Qui tam actions were used in the 13th century England as a way to enforce the King's laws. These actions have existed in the United States since colonial times, and were embraced by the first U.S. Congress as a way to enforce the laws when the new federal government had virtually no law enforcement officers. Through Whistleblower Lawsuits, Qui Tam Lawsuits, and other Government Fraud Lawsuits, hundreds of billions of dollars have recovered from fraudulent government contractors that have stolen large amounts of money from the government and taxpayers. It is extremely important that Whistleblowers continue to expose fraudulent billing practices and unnecessary treatments that cost billions of dollars. 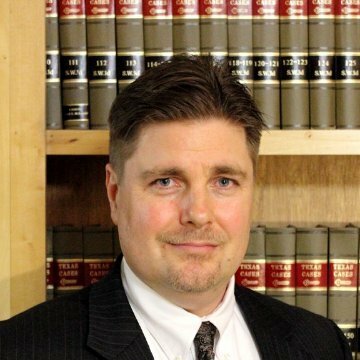 If you are aware of a large government contractor that is defrauding the United States Government out of millions or billions of dollars, contact Whistleblower and Government Fraud Lawyer Jason Coomer. As a Texas Whistle Blower Lawyer, he works with other powerful qui tam lawyers that handle large Government Fraud cases. He works with San Antonio Whistleblower Lawyers, Dallas Whistleblower Lawyers, Houston Government Fraud Lawyers, and other Texas Whistleblower Lawyers as well as with Whistleblower Lawyers throughout the nation to blow the whistle on fraud that hurts the United States and taxpayers.